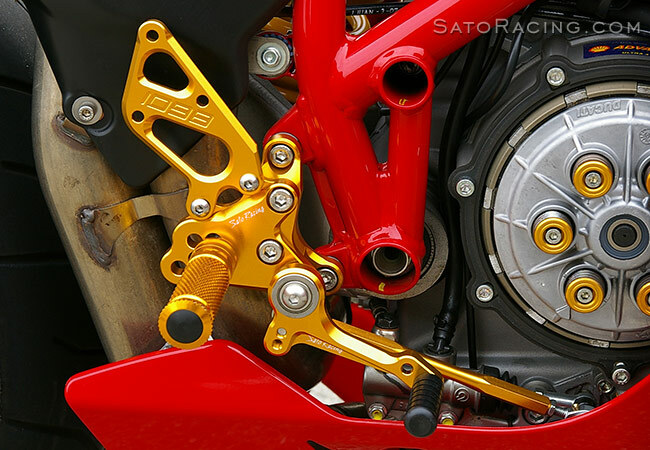 SATO RACING Rear Sets for Ducati 848 / 848 evo are a track-engineered design, precision CNC from high strength billet aluminum, and anodized in your choice of Black, Silver (clear metal), or Gold finish. 2 versions of these Rear Sets are available. 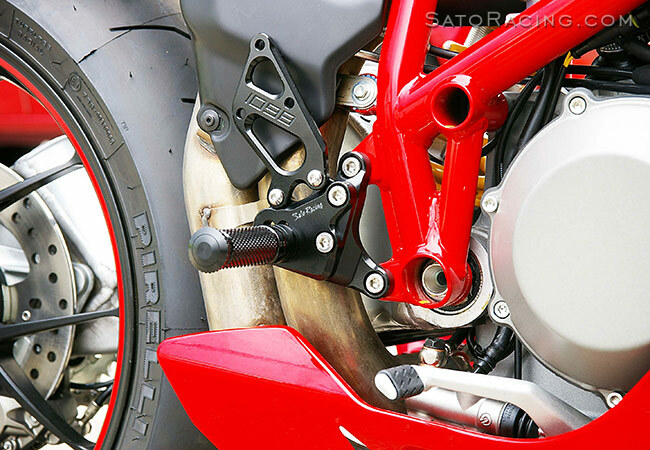 'Type 1' version Rear Sets are designed to work with the stock Ducati brake pedal, or you can get a matching SATO Adjustable Brake Pedal. 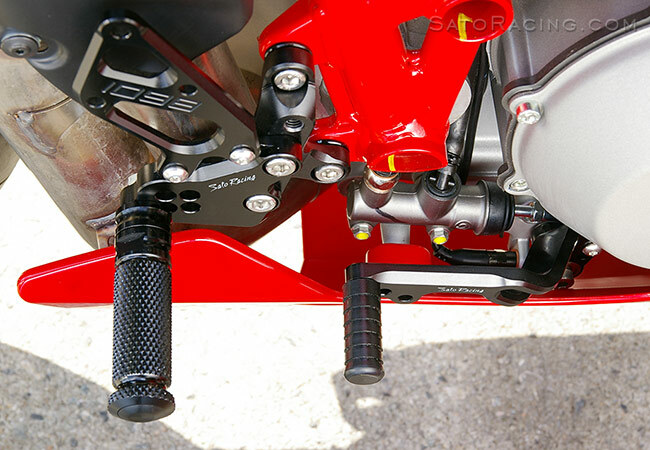 The 'Type 2' version Rear Sets includes an integrated brake pedal that pivots from the step plate. 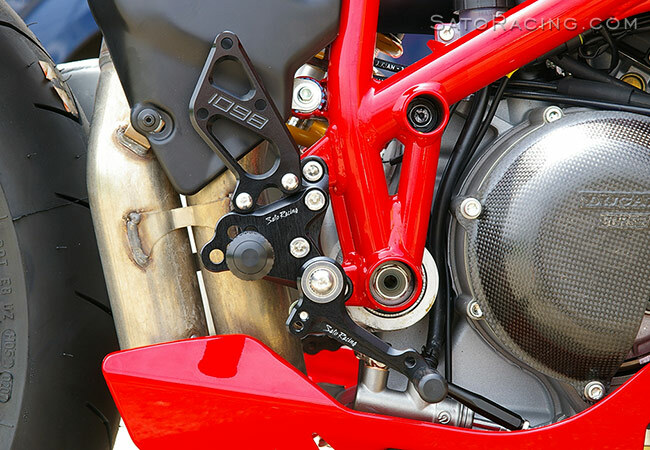 Note: Most of the following photos show SATO 'type 1' and 'type 2' Rear Sets for the Ducati 1098. 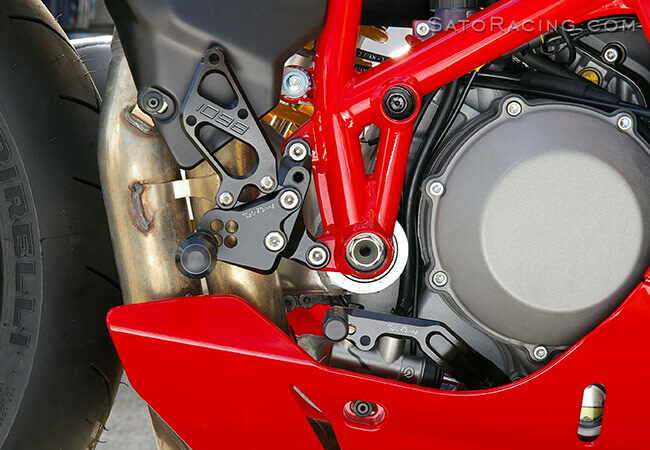 Our Rear Sets for the 848 are essentially the same but have different, 848-specific heel guards. 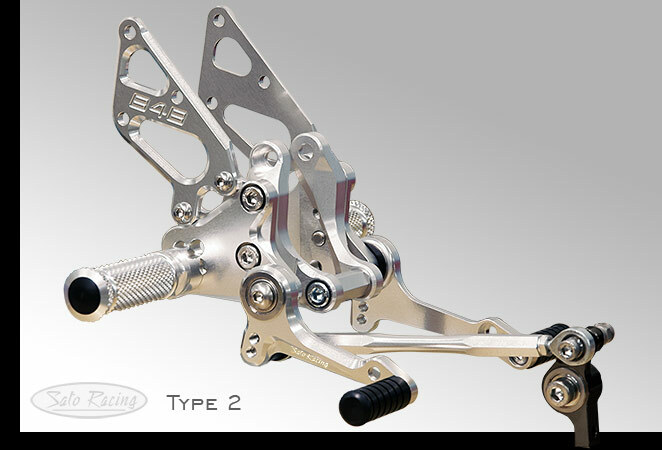 The shift and brake pedals utilize double stainless bearings for smooth, precise movement. 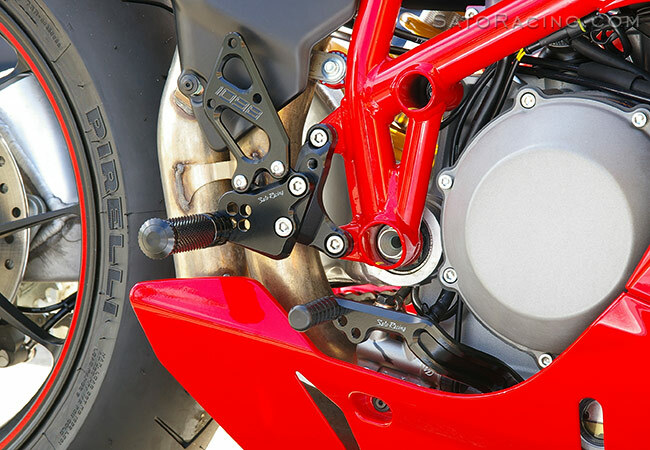 Deeply knurled footpegs keep your feet firmly planted even in wet conditions. 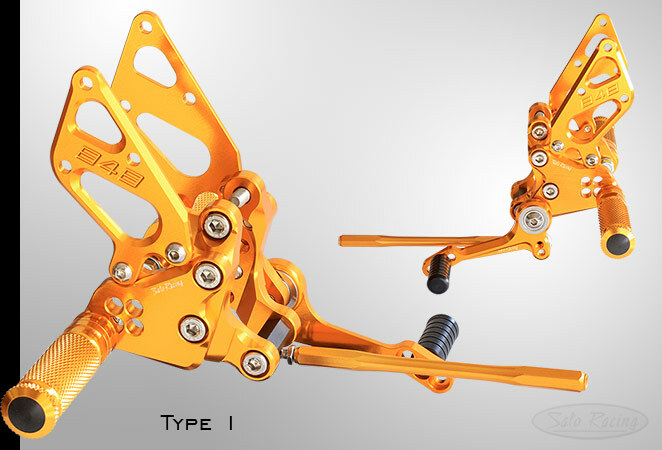 These 'Type2' Rear Sets feature an integrated brake pedal for precision braking feel. several ways, so you can find the perfect position for your riding style. 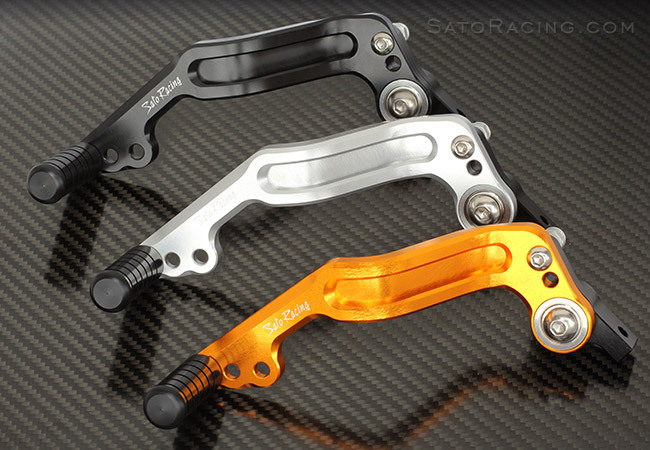 or you can upgrade to a matching Sato Adjustable Brake Pedal. 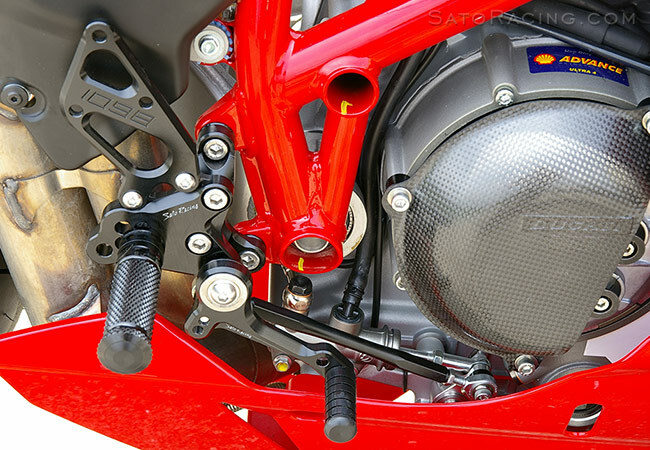 848 Type 1 Rear Sets shown with optional Sato Adjustable Brake Pedal. stroke. 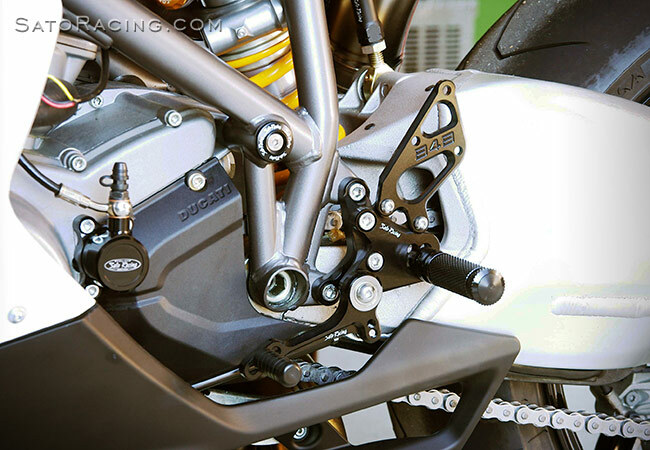 You can change these Rear Sets to reverse (GP) shift pattern by rotating the stock shift arm. 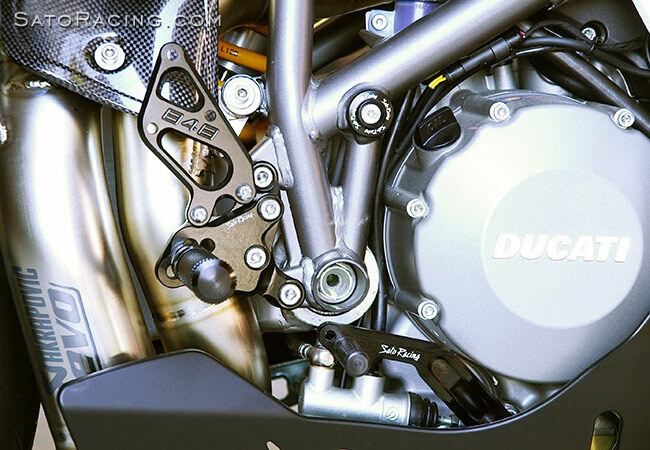 NOTE: If installing with DQS (Ducati Quick Shifter), these Rear Sets are stock shift pattern only. 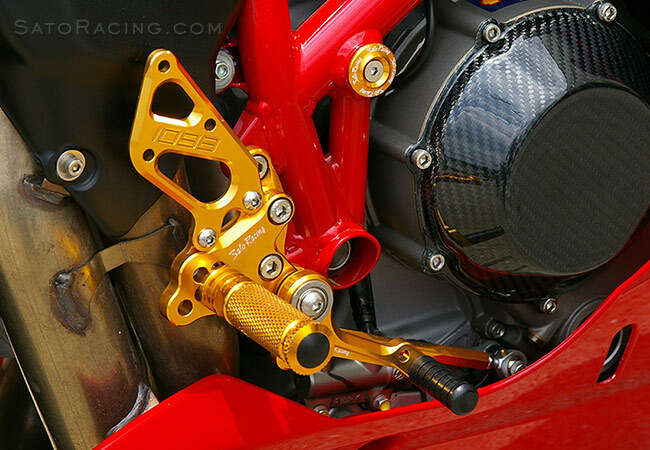 This adjustable brake pedal assembly replaces the stock brake pedal on Ducati 848 / 1098 / 1198. Made of anodized billet aluminum (choice of Black, Silver or Gold), with double stainless bearings for smooth, precise braking action. Pedal tip can be adjusted to 3 different positions. 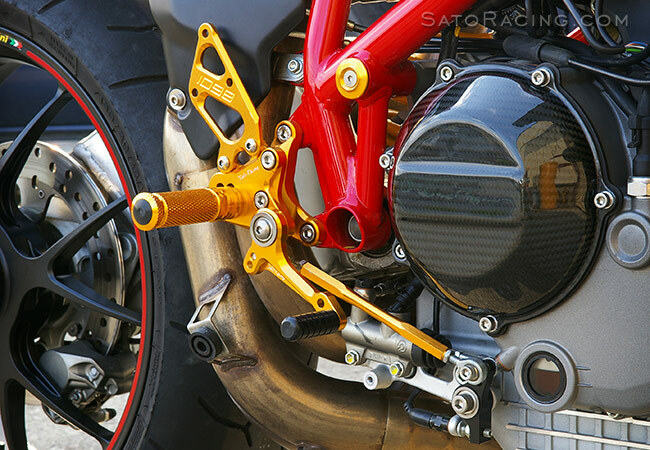 Works great with SATO RACING 'Type1' Rear Sets for Ducati 848/ 1098/ 1198.
with certain aftermarket exhaust systems and some positions.